Second only to water, concrete is the earth’s most highly utilized material. It’s estimated that on a global scale, we use more than 25 billion tons of new concrete annually—more than three tons of concrete per person. As China, India and other countries continue to industrialize, global use of concrete will only grow. Because the manufacturing of cement, concrete’s main ingredient, accounts for 5% of the global carbon dioxide (CO2) emissions attributed to human activity, which may be a factor contributing to global climate change. Carbon dioxide is emitted at several points throughout the cement manufacturing process. First, there’s the energy consumed to quarry limestone, a primary component of cement, and get it to the cement manufacturing plant. Once at the plant, limestone is mixed with water and other materials and then put through a chemical process called “calcination.” This process requires firing the limestone and other ingredients at an extremely high temperature, roughly 2700 degrees Fahrenheit (1400 degrees Celsius). Calcination produces both direct and indirect CO2 emissions. The Cement Sustainability Initiative Report estimates that 60% of the CO2 emissions from the cement plant is directly due to the chemical reaction sparked by the calcination process itself. The other 40% comes from indirect emissions associated with this process—the CO2 released from the fossil fuels needed to fire up the kilns and produce the necessary heat. Since concrete continues to be a central component in construction projects around the world, the search is on to find a way to make it a more eco-friendly material. With significant impact comes significant opportunity. Because cement manufacturing is a major contributor to worldwide CO2 emissions, beneficial changes to the manufacturing process could reduce those emissions appreciably. Reduce the indirect emissions by reducing the fossil fuels needed for firing up the kilns to process the limestone mixtures. Reduce the direct emissions from the calcination process, generally by reducing the amount of limestone needed or otherwise revising the recipe of the mixture going through the calcination. Use carbon capture and storage (CSS) approaches to trap the CO2 that is emitted, either directly or indirectly, from the cement manufacturing process. Calera, a California company, seeks to take the CO2 emitted from other industries and turn these emissions into source material for concrete, thereby replacing the limestone. This process, modeled after how nature creates coral reefs, filters the collected CO2 emissions through seawater. The result is a chalky material that can be used as a concrete ingredient and that doesn’t require the extreme heat of limestone for processing. Greenstone cement: Researchers at Drexel University discovered that portions of Egypt’s ancient pyramids were made from a form of concrete, instead of carved from solid stone. Excited about the pyramids’ longevity, the researchers looked into how to make such a durable material more eco-friendly. They began by combining recyclable materials—mostly industrial waste—with lower amounts of limestone. Then they added a small amount of alkali chemical to the modified mixture, using a process that requires very little heat. Their estimate is that this alkali-activated cement emits 97% less CO2 than traditional Portland cement. MIT Research: Scientists at the Massachusetts Institute of Technology didn’t alter any ingredients in the cement recipe as a way of reducing direct CO2 emissions. Instead, they tweaked the ratio of ingredients. The industry standard for creating a strong, stable cement has been a calcium to silica ratio of 1:7. 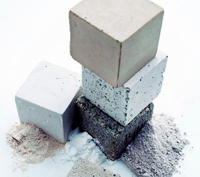 Questioning the need for this standard, the researchers conducted tests and concluded that a 1:5 ratio not only produced a stronger cement but estimated that it can reduce CO2 emissions from the manufacturing process by up to 60%. Ferrock™: Developed at the University of Arizona, this is a replacement for Portland cement. This new type of “cement” is made from steel dust, an industrial waste product. The process for converting steel dust into a binding ingredient that can replace the cement in concrete actually requires high amounts of CO2. As such, the manufacturing process of Ferrock™ absorbs CO2 instead of emitting it. Can These Options Really Replace Traditional Cement? It is one thing to discover ways of altering cement’s recipe of ingredients so as to reduce the carbon footprint of cement. But it is equally important to ask: Do these changes to the cement favorably impact the characteristics of the resulting concrete? Thus far, the answers have been surprisingly positive, creating what looks to be a win-win situation. Researchers at businesses and universities have been conducting tests of strength and durability and are finding that their new products yield a concrete that meets or exceeds the strength and durability characteristics of concrete made from the tried-and-true Portland cement. 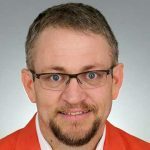 No matter how quickly the movers and shakers in the cement manufacturing industry shift society toward the use of more eco-friendly cement, we can expect some things to stay the same. The curing process for concrete (that is, the chemical reaction occurring as the cement and water mixture harden, forming the concrete) is still where the durability properties of the concrete are set. 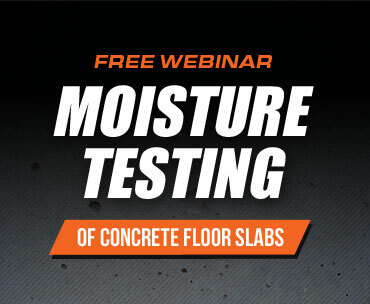 In addition, even if new experimental concrete mixtures may someday suggest the use of new concrete moisture testing methods, the flooring installer’s need for an accurate picture of the slab’s moisture condition will remain unchanged. Information about moisture condition will always be critically important when deciding whether a concrete slab is ready for the finished floor. Current research clearly shows that the most reliable concrete moisture test uses an in-situ relative humidity (RH) probe, like those found in the Wagner Meters Rapid RH® kits. Use of other moisture tests could mean an undue risk of a serious flooring failure. Always remember: doing it right the first time not only makes good economic sense, it makes good eco-sense, too!